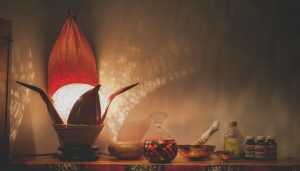 Welcome to Ojus Ayurveda Melbourne – the perfect place to harmonize your body and mind. The ancient science of Ayurveda and all its healing benefits are now accessible right here in Melbourne! Ojus offers an array of Ayurvedic medicines and treatments as a holistic solution for your aliments so you can achieve perfect balance between your mind and body. Our skilled Ayurveda practitioners scrutinize the exact imbalance of your body systems to figure out the root cause of your disease following which, we use Ayurvedic medicines and treatments to help regain optimum health and happiness. The right blend of Ayurvedic herbs combined with the perfect diet and the care, and support from Ojus Health’s healers is all that your body needs to get rid of its ailments. Trust our excellent team of Ayurveda practitioners to get your senses in sync with your mind and body. Insomnia and anxiety and many more. Ayurvedic medicinal plants, herbs, oils, minerals and other elements are also made up of these elements. The proper mix and combination of these elements is used to cure illnesses of different kinds. 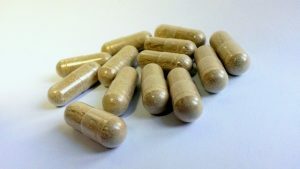 Furthermore, Ayurveda medicines have uniquely different tastes when compared with regular western medicine, as they are made up of pure herbs in their native form. You can expect tastes like salt, sweet, sour, pungent, bitter and astringent in Ayurvedic medicines. The flavour stems from the different minerals and herbs used in the medicinal blend and affects the respective sickness in the right manner. For instance – sweet, sour and salty materials help in lessening the alleviation of Vata dosha. Similarly, other flavours have different impacts on other doshas such as Pitta and Kapha. Netra (Akashi) Tarpan and many more. Under the care of certified practitioners, you will regain health and find solutions for your ailments in no time. Our treatments work from within, healing your body from the very root of the disease to provide you with effective and long lasting relief. Ojus Health in Melbourne is the answer you have been looking for to resolve your health issues! Ayurvedic medicines and treatments are one of the best natural healing practices in the world. And with Ojus, you now have these treatments within an easy reach! Give us a call today for the best Ayurvedic medicines in Melbourne. Be healthy!